Since early September COMCAST has scheduled 4 appointments, and missed 4 appointments, to replace my main cable line – the line that comes to the house from the street. The latest no-show was today, the 4th appointment they scheduled. For the tedious details on the 1st 3 no-shows see - 3rd time’s the charm . Today they said they’d try and get someone out by the end of the week, as if they were doing me a favor. What gall. UPDATE; it’s now Wednesday and it looks like COMCAST is not going to get someone out by the end of the week. Just received an email from them stating that the new (that’s the 5th)estimated completion date is November 13th. So bad that some city governments are trying to bar COMCAST from entering their city, why, because of COMCAST’S well earned reputation for horrible service. The history of 12204 Backus Drive in Bowie, Md., is in many ways the history of the American housing market over the last two decades. As he drives his white pickup truck past the manors that crowd the hills and meadows along Round Hill Road in Greenwich, Conn. — a town that has long signified what it means to be rich in America — Christopher Fountain snorts. This is “Rogues Hill Road,” or so Mr. Fountain has called this 3.5-mile stretch of asphalt. “All these aspirational schnooks came out here thinking that they had really made it,” said Mr. Fountain, a real estate broker, blogger and lifelong Greenwich resident. “But then the tide went out and what you are left with is a bunch of crooks.” Believe it or not, Mr. Fountain actually makes a living brokering mega-mansion real estate deals to these so-called schnooks, among others. Potential home buyers continue to look at properties for sale but are submitting far fewer offers, the latest sign that real estate activity has cooled from the white hot pace seen during spring and summer, according to a recent report by Redfin, and online real estate brokerage. The number of offers by Redfin customers fell 11.8% in September from August — the biggest decline the brokerage has seen all year. In September 2012 — when the market was still in the early days of recovery — offers were up 4.5% during the same period. The problem is that people are just confused. Early last year the real estate market was starting to recover and homes were supposed to be a bargain. Then, as if overnight, you couldn’t find a home to buy, and boom-time relics like home-flippingand bidding wars were all of sudden back. As I’ve mentioned before I participate in a monthly survey of real estate agents conducted by Credit Suisse. The survey covers 42 market across the USA and in September they received responses from 700 real estate agents, myself included. Here are their findings for the 42 markets covered. Market continues to cool at start of fall season: The housing market’s fall season started slowly as fatigue over rising rates, home prices, and a lack of attractive inventory persisted across most markets in September. The decline in mortgage rates will hopefully help traffic over time, but hasn’t yet. Buyers are pushing back on the aggressive price increases from recent months, and while agents generally saw rising prices in September due to limited available inventory, we saw slowing momentum and increased incentive use (not surprising, especially as builders can tailor incentives to address hot-button issues such as interest rate buy-downs). • Buyer traffic drops again in September, well below agents’ expectations as hesitancy continues, despite the recent pullback in rates: Our buyer traffic index fell to 36 in September from 45 in August, pointing to a second straight month of traffic missing agents’ expectations (a reading of 50 indicates in-line traffic). This is also the lowest level since November 2011. Agents blamed the increase in mortgage rates and home prices, and we didn’t see signs that the recent pullback in rates has led buyers to re-engage yet. Weakness was broad-based, with none of the top-20 markets exceeding expectations, though markets in Texas and Florida (aside from Jacksonville) appeared comparatively more healthy. Investor-heavy markets (Atlanta, Phoenix, Vegas) continued to take a hit as investors pulled back. • Lack of inventory still driving prices higher, though momentum appears to be easing: Our home price index fell to 72 in September from 76 in August. This still indicates rising home prices, but less broad-based than in prior months, suggesting momentum is slowing. The key driver lifting prices remains the lack of supply, which is offsetting weaker traffic in most markets. We also saw signs of increased incentive use, a negative for pricing. • Inventories and time to sell trend modestly lower: Our home listings was unchanged at 57, while our time to sell index edged down to 57 from 58 in August, modestly above neutral readings. These indicators remain supportive for home price trends, though continued weakness in traffic would likely lead to less favorable conditions. Each month, we survey agents about trends in buyer traffic levels, home prices, incentives, inventory levels, and the length of time needed to sell a home. In September, we received responses from 700 real estate agents across the country. We review responses and calculate an index for each of the questions with levels above 50 indicating positive trends, levels below 50 indicating worsening trends, and a level of 50 indicating a neutral trend. While few economists and industry watchers believe the housing recovery will stall, there is growing evidence that the exuberance that prompted bidding wars and led to double-digit price gains is easing. "It's clear there will be some moderation in demand," said Lawrence Yun, chief economist for the National Association of Realtors. Sales of previously owned homes rose unexpectedly in August to the highest level since 2007 as potential buyers rushed to lock in deals before mortgage rates increased further. But the industry's trade group warned that home sales could slow in the coming months due to higher borrowing costs and prices. Well, I guess anything could happen, we’ll have to wait and see. But, unfortunately, the August figures for the Catalina Foothills still hold. After a yearlong rally, the U.S. housing market is showing signs of cooling as higher prices and interest rates, a slowdown in investor purchases and shortages of homes for sale weigh on one of the economy's brightest sectors. "It's clear there will be some moderation in demand," said Lawrence Yun, chief economist for the National Association of Realtors. He noted that the use of electronic "lockboxes" used by listing agents, an indicator of foot traffic at homes on the market, showed a "measurable decline" during August. "The market is having a bit of a hangover. We partied pretty hard, and you can't go on partying like that all the time," said Greg Markov, a real-estate agent with HomeSmart International in Phoenix. Some agents say the biggest problem in the market is "seller greed"—that is, sellers pricing their homes too high, said Jim Klinge, a real-estate agent in Carlsbad, Calif. Faced with rising rates, buyers aren't going for higher prices. "They don't realize our 12- to 18-month full-tilt boogie is over," he said. While higher rates and prices are knocking marginal buyers out of the market, others, like Ghalib and Nancy Wahidi, will remain in the market but look for a less expensive house. The Wahidis' original price range topped out at $1.2 million, but they reduced it after rates went up, said Dr. Wahidi, a 38-year-old physician. They are set to close this week on a four-bedroom $1.03 million home in Ladera Ranch, Calif., around 4% below its original list price. Tip – if the link to the article takes you to a Subscription page from WSJ, just Google the title in Google News and you should get a link to the full article. And while we haven’t experienced the wildly escalating prices – sold prices that is, list prices are another matter - that have been reported by the national media, we have seen some uptick in sold prices along with a healthy boost in sales. That is until recently. With the August report we saw that sales and sold prices dropped steeply here in the Tucson Foothills. And there were fewer contracts in August, which will mean fewer sales in September. and rather than try and make something of nothing, here are some links to what’s going on in the wider world of real estate. Did You Miss Your Chance to Make a Real-Estate Killing? The question is, Better for who. Bank of America, whose latest ad theme is the aforementioned “Life’s Better When.., may have really stepped in it this time. Even for bankers this seems almost too uncaring, crude and criminal to be true, almost. The National Association of Home Builders, an industry trade group, said Monday that its housing-market index leapt to a reading of 52 in June, up by eight points from May. The jump was the biggest since the summer 2002. The reading marked the first time since April 2006 that the index registered a reading over 50, which indicates most home builders view sales conditions as good rather than poor. The reading was far above economists' expectations of a 45-point measure for June. The index was based on a survey of 255 builders in June. "Surpassing this important benchmark reflects the fact that builders are seeing better market conditions as demand for new homes increases," said NAHB Chairman Rick Judson, a home builder and developer from Charlotte, N.C. "With the low inventory of existing homes, an increasing number of buyers are gravitating toward new homes. Here in the Catalina Foothills, where many builders got burned during the boom & bust, and who didn’t, most builders appear to be tip-toeing very carefully back into the market. Of the 9 new construction listings in the MLS only 3 of them are spec homes that are actually built or in the process of being built. The others are to-be-built, that is, once a buyer comes along and signs a contract and puts down a deposit. And not until. Also, back in the boom days of the spec home frenzy you never saw a spec listed for less than 1$million, and most were at $1,500,000 and up, and some way up. Today 4 of the 9 listings are at $635, $725, $759 and $995. And I see that La Quinta is building again along Campbell Ave behind the iron gate just north of Calle La Vela. This is on the 10 acres they acquired in the 2002 purchase, for $1,450,000, of a Joesler estate which they then renovated and sold for $1,550,000 in 2004, but with just 2.4 acres. Meanwhile La Quinta carved out 4 additional building lots from the remaining 7.6 acres. And La Quinta didn’t get off scot-free either. By the time they got two of their very high-end spec homes in the ground the boom had become the bust and when they finally did sell they sold for steep discounts. The blue outline is the original 10 acre parcel with the Joesler in the upper left and the 4 lots that were split, two of them with La Quinta spec homes. One sold in 09 for $1,232,000 after starting in 08 at $1,685,000, the other for $1,600,000 in 2010 after starting in 07 at $2,695,000. And La Quinta’s are beautifully designed, all masonry construction with the very best materials and craftsmanship – a level of quality that is rarely seen. According to the drumbeat of news reports “the number of homes for sale is at historically low levels”. And that may well be in LA, SF, Miami, Phoenix and elsewhere, which is of course contributing to the buying frenzy we’re also hearing so much about. But in the Tucson Foothills there are actually more single family homes for sale this year than last year. Today there are 370 for sale, 23% more than at this time last year. But a new report in the Wall Street Journal indicates that rising prices and quicker sales may be inducing more sellers to list their homes, thereby increasing inventory levels. Ha!, just like here in the foothills. Bidding wars sound almost quaint. These days, the only way for would-be buyers to secure a home, it often seems, is to offer all cash and be ready to do so within hours, not days. More California homes have been flipped in the last year than in any year since 2005. Home prices in March rose by 10.9% from a year earlier, the largest such gain in seven years, according to an index tracking home prices in 20 U.S. cities. The Standard & Poor's Case-Shiller index, released Tuesday, showed that all 20 cities had posted year-over-year growth for the third straight month, the latest sign of how tight inventories and growing housing demand have led to a surge in home prices after several years of declines. There are already signs that home-price appreciation is set to continue its blistering pace this summer because the inventory of homes for sale has remained low and buyer urgency has picked up, fueled by improving consumer confidence and mortgage rates that have been hovering near record lows. But some economists and real-estate agents have warned that the current pace of gains isn't sustainable and that some buyers could be priced out of the market, especially once interest rates rise. Home prices are still down by 28% from their 2006 peak and have returned to levels last seen in late 2003. One year ago, home prices were 35% below the 2006 peak. The Case-Shiller index reached a bottom last March, which means the year-over-year comparisons could begin to show less dramatic growth in the months ahead. March sale prices also rose (pretty dramatically) in the Tucson Foothills, UP 20% for average prices and 15.6% for median over March 2012. But that’s just one month, with 87 sales in March 2012 and 74 in 2013. Way too short a time and way too few sales to hang your hat on. If we expand the timeline to 2 1/2 months, from March 1st - May 15th, we’re UP 3.5% for average prices and 10% for median. And that, I think, begins tell the story of where sale prices really are. Want to see how short time periods and too few sales can distort prices. Here are the most recent sales figures, for May 1 – May 15th, this year and last. So according to this average sale prices are DOWN 34% and median are DOWN 32%. The difference is that the markets in the Case-Shiller report - SF, LA, Atlanta, Phoenix, etc – have thousands of sales/month, so the price figures are at least more reliable. While in the Foothills we have 80 or 90 sales/month, if we’re lucky. But if all these markets are seeing big price increases you can be sure that we won’t be left out. Traditionally, the Tucson Foothills market lags the majors, both on the up and downside, by about 4 to 6 months. Unfortunately, no. We do know one thing from economic research: one-year home price increases, after correcting for inflation, have had almost no statistical relationship to increases 10 years down the road. Thus, the upturn last year is irrelevant to long-run forecasting. Booms are typically followed by busts, usually in far less than 10 years. In a decade, an entire housing boom, if there is one in inflation-corrected terms, is likely to have been reversed and completely washed away. 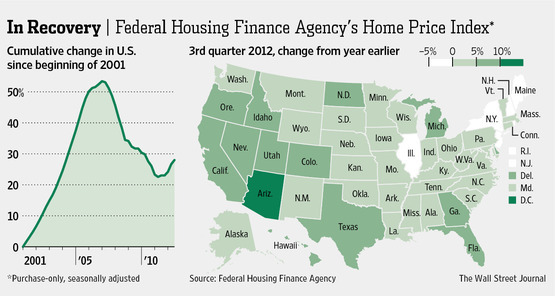 So says CNNMoney.com with an assist from Lawrence Yun, chief economist for NAR. Hmmm! Question, would you call a 10% rise a surge. Harald Grant, a senior vice president of Sotheby’s International Realty, has already rented out an oceanfront house in Southampton for $550,000 for the month of August alone and has a stack of 14 contracts and purchase memos on his desk representing pending sales of $4.5 million to $25 million. For high-rolling renters, Mr. Grant has a trio of oceanfront rentals in Southampton that can be had for the summer for $400,000, $600,000 or $800,000. Why pay $25 million to buy, and more to maintain, a summer getaway when you can rent and run? Or, for a million or so, you can rent year round. The record price for a house remains the $60 million paid in 2008 for 108 Gin Lane in Southampton, but not every buyer operates on an elastic budget. Tucson's Ryan Airfield faces closure of its contract air-traffic control tower in early April unless it can make a good case to regulators that keeping it open is in the national interest. The Tucson Airport Authority has received a letter from federal regulators saying Ryan is among 189 smaller airports that face closure of their contract air-traffic control towers due to looming sequestration cuts. Local aviation officials have said that closing Ryan would jeopardize safety, noting that Ryan is a valuable reliever to Tucson International Airport and features advanced landing-approach technology. Without a tower, pilots will have to coordinate takeoffs and landings themselves via radio and visual contact. And besides, having to actually drive to Fashion Square , what fun is that. Still, many homeowners are finding that their homes are worth less than the peak values of six years ago. That has likely prompted some to hold their properties off the market. The supply of million-dollar-and-above homes being offered for sale dropped by nearly 8% this year, according to Realtor.com. This year, bidding wars have become commonplace in affluent California markets from Brentwood to Palo Alto, where new land is scarce and where investors have pushed up prices by making all-cash offers to buy older homes that can be torn down and rebuilt. "I had so many calls this year from disappointed buyers who thought they had a deal, and the next thing they knew, it was a bidding war and they lost," says Pamela Liebman, chief executive of the luxury brokerage Corcoran Group. To be sure, many sellers are finding that their homes aren't worth anywhere near what they fetched at their peak, and sales are rising from extremely depressed levels of the past few years. Sales of $1 million properties for the first nine months of the year were nearly half of what they were in at the peak of the housing boom in 2006. In the Tucson Foothills there’ve been 48 $million+ sales so far for 2012 vs.
42 in 2011 – a 14% increase. But we’ve got a ways to go to catch up to the 123 sold in 2006. And like WSJ’s findings home values here in the foothills are down considerably from the peak years (more so for higher priced homes). Which has undoubtedly caused would-be sellers to hold off on listing. And while the million+ market has improved this year, unlike WSJ’s findings, we are not experiencing a rash of bidding wars at $1million & up. And at $2million and up, well, sales at $2,000,000 are not breaking any records . I can’t say whether or not it will hold true this time, but in the past I’ve found that the Tucson Foothills real estate market lags the trends, both positive and negative, occurring in some of the larger US markets by about 3 to 6 months. However you celebrate the season I hope you’ve enjoyed it. Boy I have. Other than a blog post here and there I’ve been off for almost two weeks now, celebrating with family and friends, and I’m about worn out and almost ready to get back to work. Almost. A Florida home that originally listed for $60 million has sold for $47 million, a record for a single-family house in Miami-Dade County. The high-end market in South Florida has picked up in recent months, with a number of sales well above the $10 million mark. The previous county record was broken in March when another home on Indian Creek sold for nearly $40 million to hedge-fund manager Edward S. Lampert, according to local brokers. "The market has changed dramatically for the super high end," said Jill Eber, one of the property's Miami-area listing brokers. "These are prices that we've never, ever seen before." and I wonder, where did Zillow come in on this $47mil sale?? Lenders report that "overly pessimistic appraisals caused by appraisers using distressed sales as 'comparables'" are a key reason why deals are falling through, particularly in parts of the Southeastern U.S., says Michael Fratantoni, vice president of research at the Mortgage Bankers Association. I’ve harped on this vigorously and often – here and here and here and elsewhere - because lowball (flawed) appraisals are killing perfectly good transactions in the Tucson Foothills and it’s got to stop. "This might be a strong season, but there's a good chance we'll continue down for a year still," said Robert Shiller, professor of economics at Yale University. "There's too much uncertainty." Home prices hit new post-bubble lows in March, according to a report out Tuesday. Average home prices were down 2.6% from 12 months earlier, according to the S&P/Case-Shiller home price index of 20 major markets. Home priceshave not been this low since mid-2002. Who am I to question Robert Schiller but, honestly, from what I’ve seen, I’d swear we’ve turned the corner. so the deal was killed. Now I can’t prove to you here that it should have appraised, but it should have, easily, and with money left over. It’s a no-brainer. But apparently not to the so-called professional appraiser. Meanwhile the buyer, a prominent individual who is moving to the area, after having spent a lot of time, is back to square one and out searching for another house. But the sellers are really worse for the wear. They moved out and had all their beautiful furniture and other stuff moved out and put in storage. And now they’re in the process of taking a few giant steps backwards – and getting their stuff out of storage and back into the house in preparation for putting it back on the market and starting all over again. Meanwhile, they’ve spent a lot of time and a lot money and it’s all for naught because of a faulty appraisal. This has got to stop. Peoples lives are being thrown into turmoil because of the incompetence of the appraisal management companies and the appraisers they assign. And in most cases they walk away without another thought. But maybe not this time. I understand the sellers are pursuing legal action against the appraiser and the appraisal management company. Good for them, I wish them all the luck and I volunteer to help in any way I can. Something’s got to be done to wake these people up. And we find ourselves in this mess thanks to the wisdom of the Obama-Dodd-Frank financial reforms. For a recent appraisal that was done for a buyer I was working with the appraisal management company was out of Mumbai. Seriously, they’re headquartered in Mumbai India and they’re assigning appraisers to do appraisals in the Tucson Foothills. Now that’s the kind of change you can believe in. Foreclosures picked up in January, yet another sign that the nation's huge glut of delinquent homes may soon start making their way onto the market. The number of homes hit with a notice of default, auction sale, bank repossession or some other foreclosure filing in January rose 3% since December, but it was still significantly lower than it was a year ago, according to RealtyTrac. The National Association of Realtors reported that the median home price in January fell 2% from December to $154,700. That's the lowest price reading since November 2001, before the run-up in home prices that became known as the housing bubble. … she and her husband bought a four-bedroom home on a manmade lake in 1999 for $374,000. They spent $100,000 installing a pool, a hot tub, a basement bar and home theater. When her husband lost his job as a sales executive at a consumer products company in 2007, the couple moved into a house that Ms. West had inherited from her mother in St. Augustine, Fla. They put the Dacula house on the market for $599,900. They rejected several offers that they considered lowballs. “Everybody kept saying ‘Oh, it’s a great house, it will sell,’ ” Ms. West recalled. A contract for $447,000 fell through when the buyer could not secure a loan. Last month, the couple signed a contract for $360,000, effectively erasing previous gains and their large investment in improvements. and take a guess which direction they erred in. You got it, it turns out the NAR inflated overestimated home sales by 14% or more, they now admit. And why did it take them 3 or 4 years to figure out their “error” – this is another big chink in the NAR’s already crumbling credibility and, of course, it doesn’t do much good for Realtors either. According to an article from Nick Timiraos on WSJ.com – Home prices and mortgage rates have fallen so far that the monthly cost of owning a home is more affordable than at any point in the past 15 years and is less expensive than renting in a growing number of cities. That may be so, it may be cheaper, but, as the article also points out there are other important considerations that are preventing people from jumping on the it’s a good time to buy a home bandwagon. sniffle, sniffle, no one interested in their obscene indulgence, what’s the world coming to. It’s enough to almost make me side with Obama. As most of the country struggled with the widening recession in 2008, Paul Parmar, a private-equity investor, said that as one of the super rich, he was continuing to support the economy by spending on luxury cars, homes and jets, without worry about the cost. In April 2008, he was quoted in a newspaper interview as saying the downturn didn't affect him at all "on a spending level." He said he had recently acquired a $110,000 BMW for his girlfriend, and a Bentley for himself. Now Mr. Parmar has joined the many homeowners who have faced foreclosure on their properties. 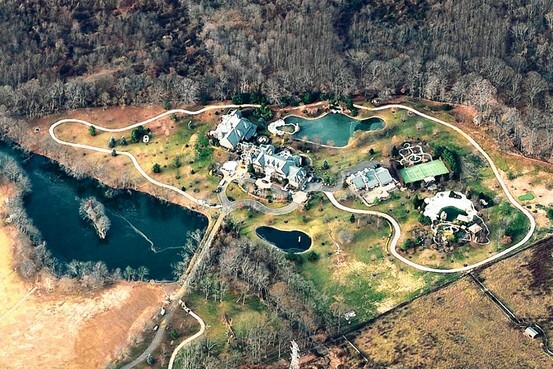 His 32-acre classical-style compound in Colts Neck, N.J., which features a private lake, outdoor pool with beach, an oversize indoor pool and two bowling lanes, has gone through foreclosure proceedings and is scheduled to be auctioned off by the Monmouth County Sheriff on Oct. 31. The Business section of today’s New York Times has an article on a new travel web site called Oyster.com that is a welcome change and I think is going to be a big hit. Their whole thing is that instead of relying on the overblown descriptions and retouched photos provided by the hotels promotional department and web sites, Oyster relies instead on 45 full-time reviewers who stay in hotels incognito and post their own reviews and photographs. “Oyster is meant to be very simple, easy, straightforward and truthful, where what you see is what you get,” said Elie Seidman, chief executive of Oyster. And this is really cool, - a regular feature, Photo Fakeouts, contrasts promotional photos from hotels with photos taken from the same perspective by Oyster reviewers.